Pedal power begins with a journey that ends with a bicycle at your work. 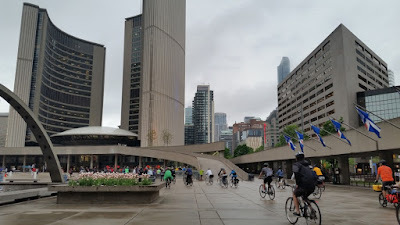 In deference to that idea the Bike to Work Day was created and it kicked off the 2017 Bike Month which runs May 29 to June 30. 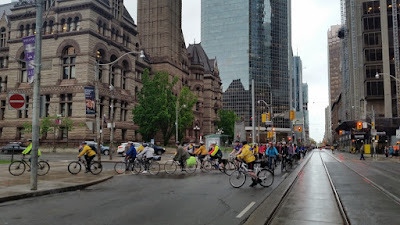 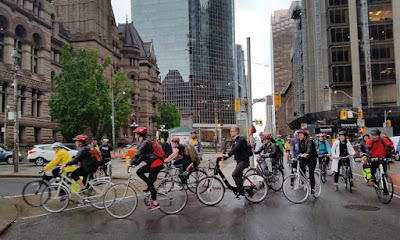 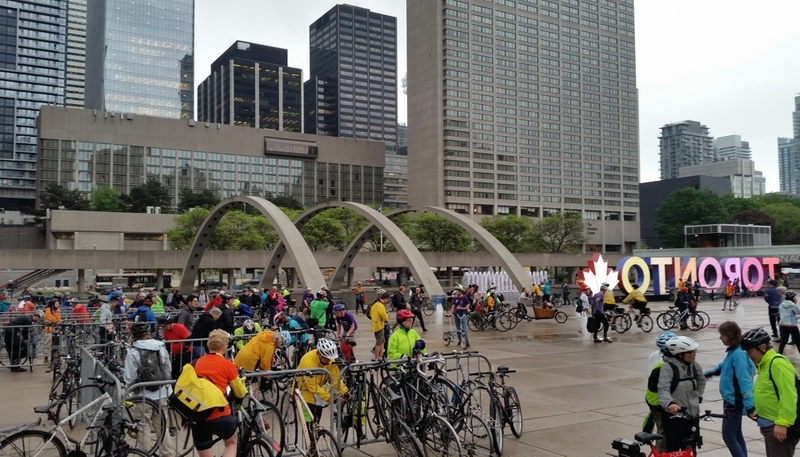 Hundreds of bikers rode into Toronto City Hall escorted by bike cops and parked their bicycles on racks in Nathan Phillips Square.